The Awards ceremony took place at the Millennium Gloucester Hotel in London on Tuesday 5th February with the big winners on the day including the Surrey Heartlands Health and Care Partnership; Lambeth Early Action Partnership (LEAP) Health Team; Erika Glenny, Case loading Midwife , King’s College Hospital; Lesley Yerlett, Preceptorship Lead Midwife, Basildon & Thurrock University Hospitals NHS Foundation Trust and Jessica Rawlinson, Student Midwife, Surrey University. 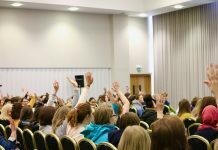 The Festival was attended by more than 700 midwives, doulas and healthcare professionals with many hundreds more watching the live stream of the event online with viewing parties taking place throughout the country. 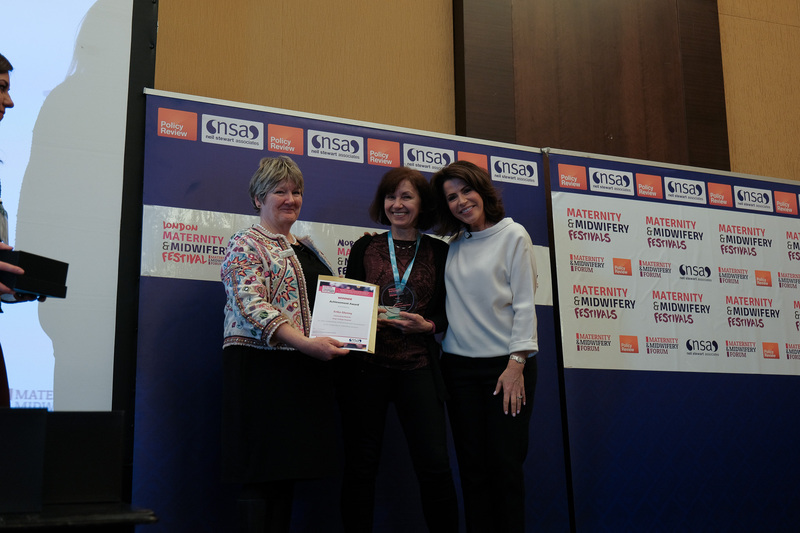 The London MMF Achievement Award was won by Erika Glenny, Case loading Midwife , King’s College Hospital described as the bedrock of the King’s caseloading model: teams average 30%-40% homebirths – a significant achievement. Her focus is on the women in her care and her remarkable combination of a deeply woman-centred approach and exceptional clinical skills is a rare combination at a time when too many senior midwives reduce or stop doing clinical work to progress their career. Highly commended in this category was Shawn Walker , Midwifery Lecturer and Researcher, King’s College University London for her work transforming breech birth at an international level. The London MMF Innovation Award was a hotly contested category won by Surrey Heartlands Health and Care Partnership Pregnancy Advice Line for providing personalised women-centred maternity care, through a Pregnancy AdviceLine, the first time maternity services have joined up with an ambulance service, working together as a joint venture across the whole maternity pathway. The outcome is collaborative work achieving a common goal for transformed maternity care. 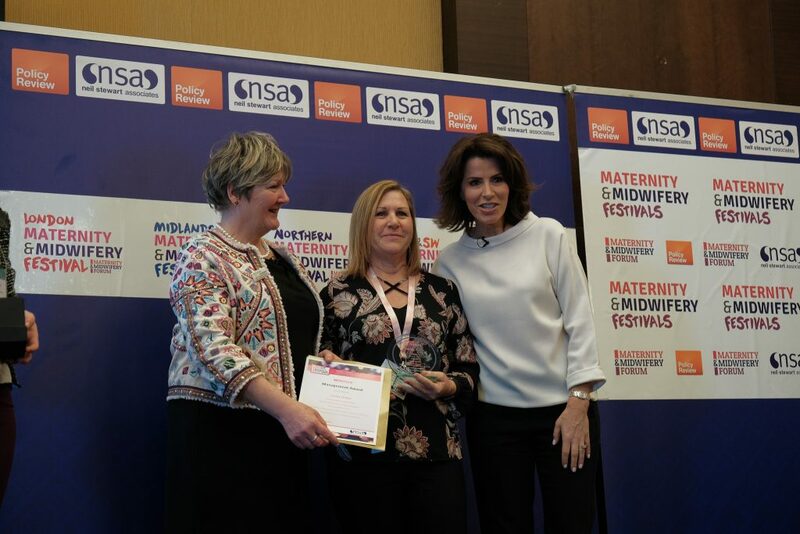 There were three Highly commended nominees in this category including Laura Godfrey-Isaacs, Community Midwife, King’s College Hospital London; Sheena and Anna Byrom of All4Maternity and Best Beginnings for their Baby Buddy App. The London Maternity & Midwifery Festival Student and Newly Qualified Midwife Award was won by Jessica Rawlinson, Student Midwife Surrey University for supporting the development and education of other student midwives by creating beautifully crafted study aids and selling them on her website via social media. Amazingly detailed flashcards and mnemonics, prompt cards and many other resources to aid learning. 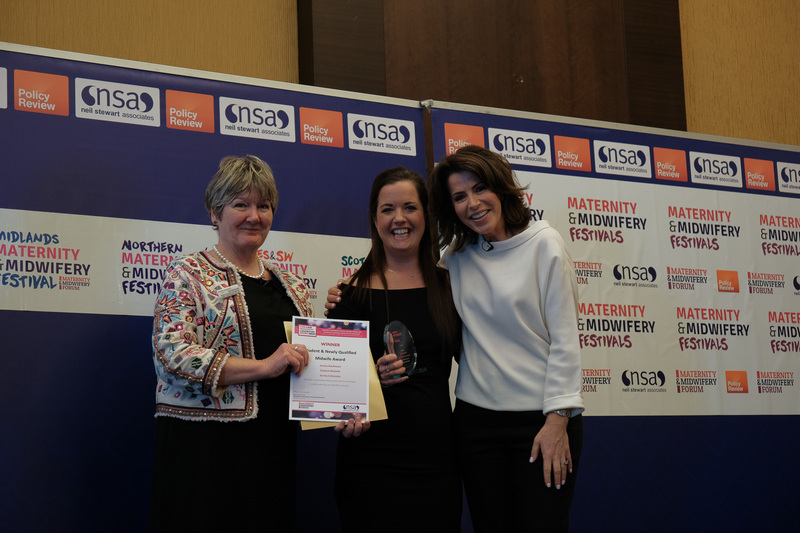 Highly commended in this category was Michala Marling, Midwife, Neighbourhood Midwives Ltd in recognition of her work creating a website and developing an online presence via Facebook and Twitter and becoming recognised as a leader in the field very quickly. The London Maternity & Midwifery Festival Team Award was won by Lambeth Early Action Partnership (LEAP) Health Team for highly effective work in identifying barriers to joined-up working amongst the primary health team who care for pregnant women and their babies and developing feasible, low-cost solutions. In 2018 the Health Team was recognised by the Royal Society of Medicine, winning the £3,000 John Horder/CAIPE prize for a multi-disciplinary team. Highly commended in this category were both Ruskin High Risk Midwifery Team and the Rainbow Team at St Georges Hospital. The London Maternity & Midwifery Festival Management Award was won by Lesley Yerlett, Preceptorship Lead Midwife, Basildon & Thurrock University Hospitals NHS Foundation Trust for her work as a member of a robust preceptorship programme with an induction programme designed to ease newly qualified midwives into gaining both competence and confidence in practice. The programme consists of an 18 month plan which focuses on skills and training in each clinical area. This year is the third cohort and to date all are really enjoying being the midwife they wished to be. 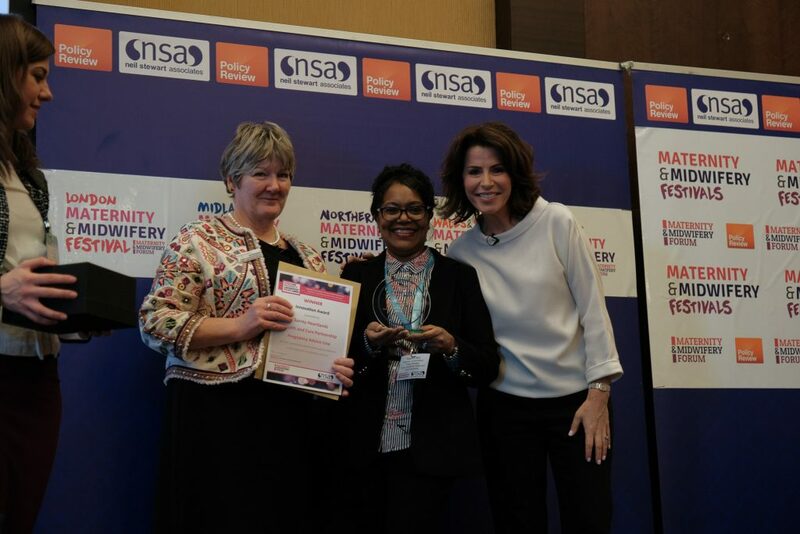 Highly Commended in this category was Mitra Bakhtiari, Senior Midwifery Manager, Imperial College Healthcare Trust in recognition of her outstanding contribution to leadership, promoting staff engagement, supporting the provision of safe care, and championing midwifery led care. 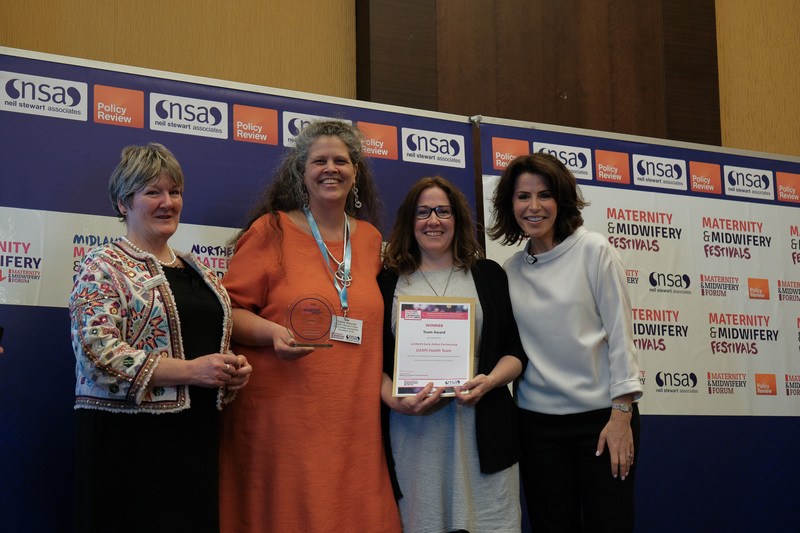 “This is the annual London and South East Maternity and Midwifery Festival Awards, and I was so delighted to be part of awarding these very special Awards. This is a way of recognising the talent, motivation and excellence of midwives and maternity team involved in London and South East Maternity Services. The standard of submissions was fantastic, so the Festival judges had to work hard to select the winners. Midwives are always busy providing care to mothers, babies and their families, so don’t usually shout about what they do, and so it is great to be able to highlight the fantastic work of those who were nominated by colleagues, and celebrate all that is the best of midwifery and maternity services. 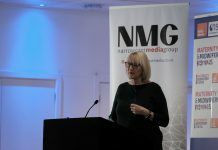 “These awards are a celebration of achievement, effort, change, innovation, management, insight, and the many other traits necessary to sustain a proud profession like midwifery and consistent services in maternity. They recognise individuals, teams, management and educators – anyone who values excellence and makes improvement. They are not a competition – not all the things in life have to be a competition, but a celebration of achievement. 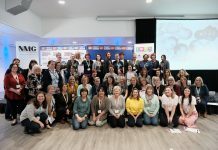 Throughout 2019 our Maternity & Midwifery Festivals will be on the road with award ceremonies taking place in Leicester, Bolton, Cardiff and Edinburgh – we hope to see you there!